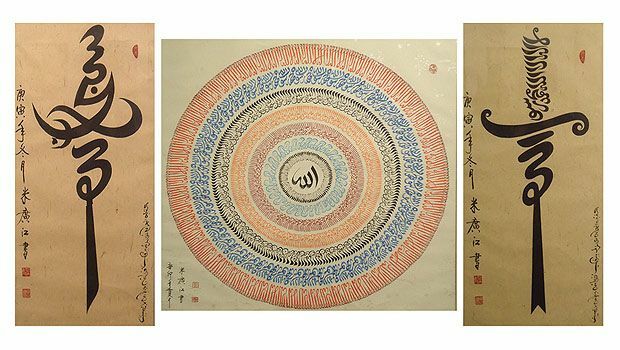 Here are three texts by Liu Zhi, who is considered one of the greatest Muslim scholars of the Han Kitab era. Here is an explanation of the titles of these books by my friend Linfan Zhu. 天方(Tian Fang). “The literal meaning of Tian Fang is somewhere that only has one direction. In the History of Ming Dynasty, it says, In the western direction of China, far away from Persia, there is a city called Tian Fang, or called Heaven, or called Mecca. In Chinese, Tian Fang (天方 or 天房) refers to Kaaba in Mecca. Thus, if we say Tian Fang, it deeply and meaningfully refers to Islam. Note: These texts written in Classical Chinese by scholars who were well versed in Confucian and Taoist philosophy as well as classical Islamic learning and may be thus too dense for most people to read, and are especially not meant for people who are beginners in this field or are not familiar with classical Chinese Philosophy or with Islam as these texts would be too dense for them. Acknowledgement: I would like to especially thank brother Linfan Zhu for providing these texts. However the 2nd link is not working – I would really love to have access to it as well! I am an overseas Chinese speaker. I can’t really download two files which are the record of Muhammad s.a.w and Islamic principles and rites. I’m sorry have to trouble you, could you check the link or do you have other links? Other than these, they are ok. Thank you for the materials it’s helpful for our community here, Allah bless. Leave a Reply to Edin Click here to cancel reply.